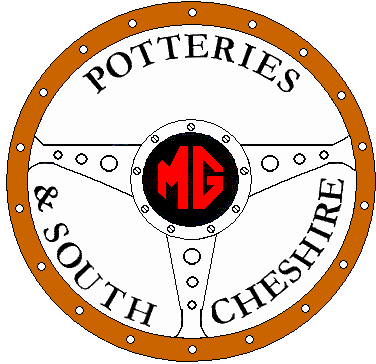 2018 was another excellent year, again exploring the proper roads of Staffordshire and the adjoining moorlands, on this occasion just missing the fires that had taken place shortly before. 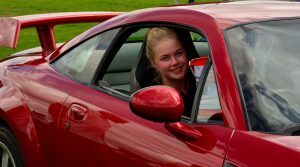 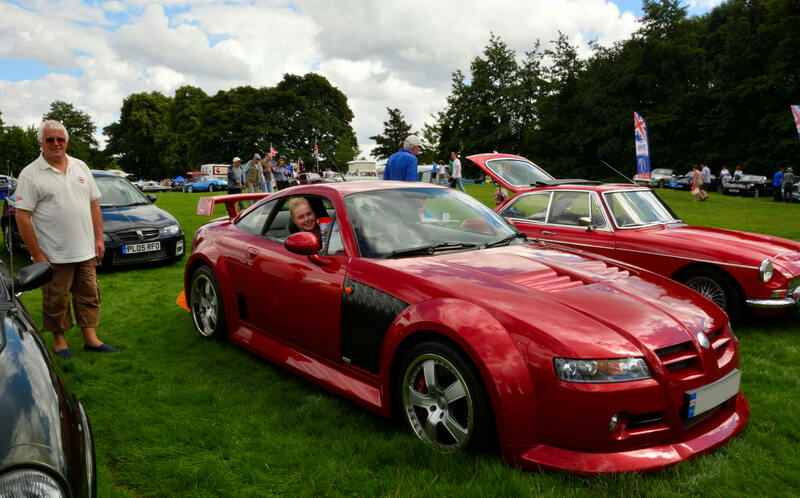 Starting off and finishing at Gawsworth Hall, a picturesque and historical setting in Cheshire, all the cars enjoyed the pleasure of parking on the front lawn overlooking the lake. 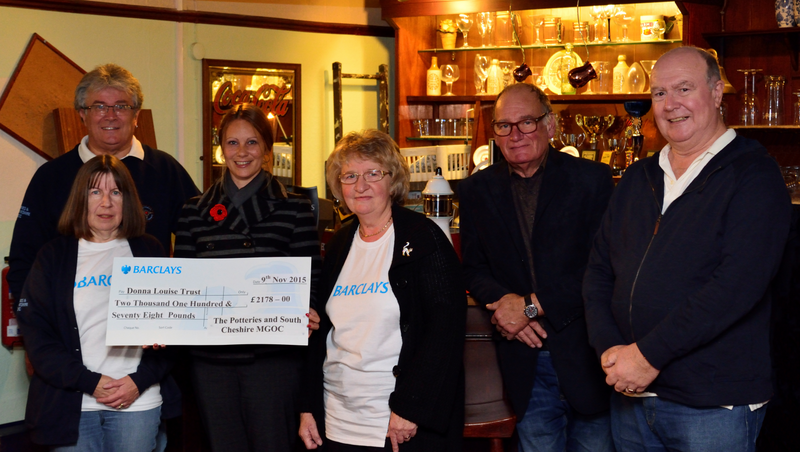 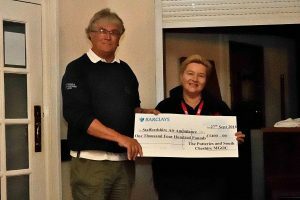 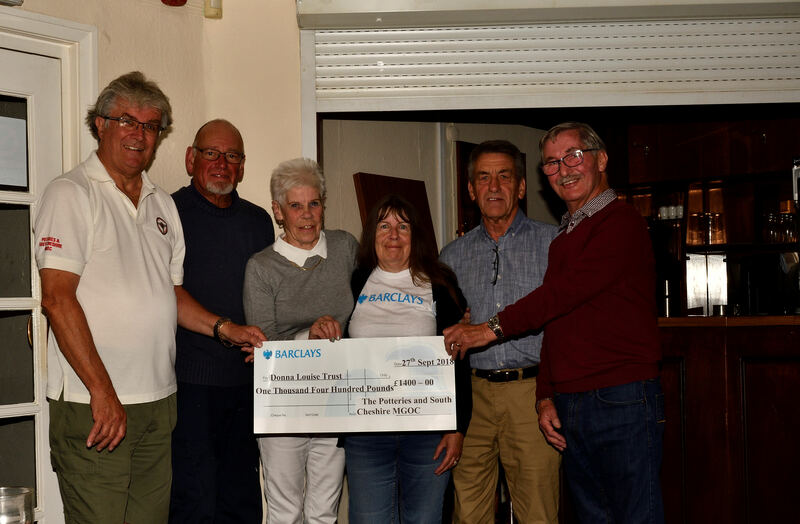 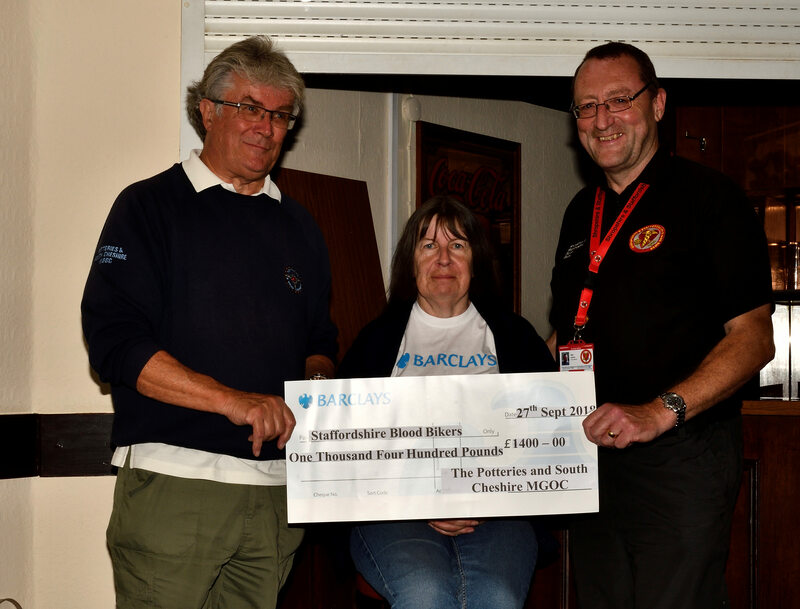 In 2018 we raised £4600 – this was distributed to the Donna Louise Childrens hospice, Staffordshire Blood Bikers and the Staffordshire Air Ambulance all received £1400 pounds each, whilst via Gawsworth Hall we donated £400 to The St Johns Ambulance. In 2019 our Charity Road Run will take place on Sunday September 1st so why not make it a date to come and join. 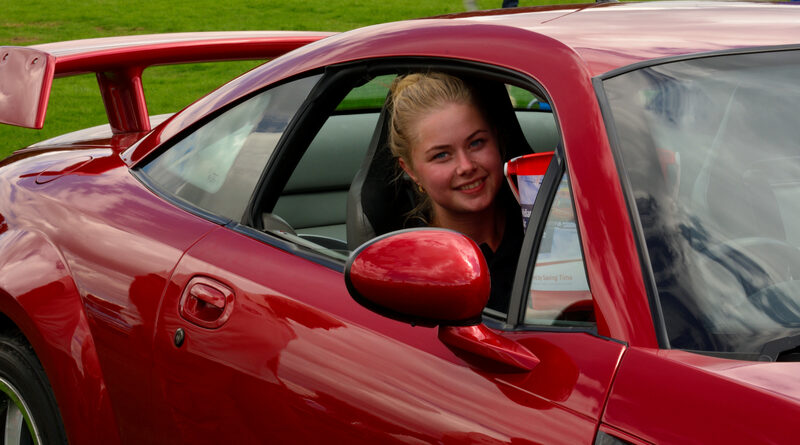 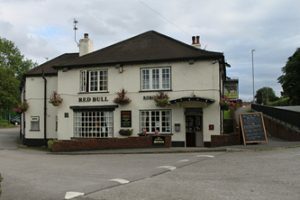 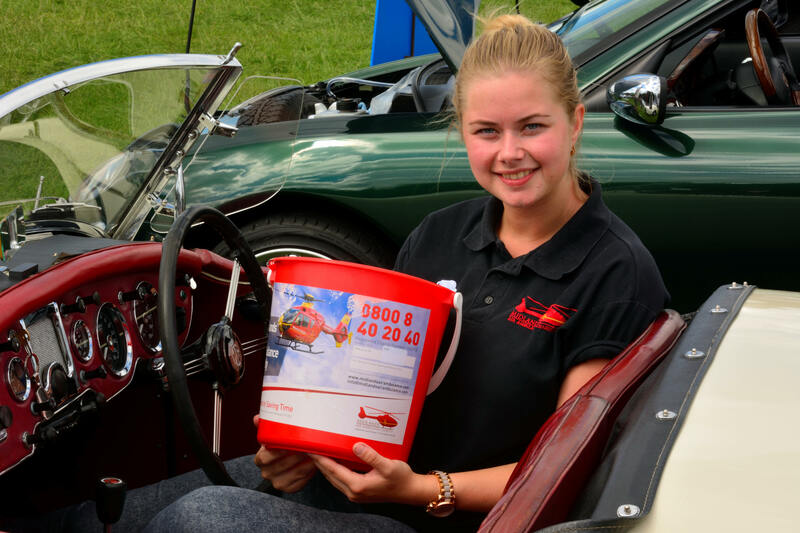 If you would like to join us in 2019 for our annual charity run, have fun, meet lots of other car enthusiasts please download an application form by clicking on one of the links below – we look forward to seeing you there ! 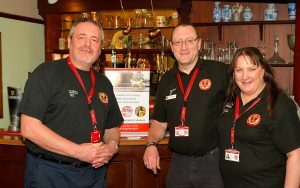 At our clubnight on the 13th February, we very much enjoyed the company of Nigel, Ian and Louisa, these 3 people are members of the Shropshire and Staffordshire Blood Bikers group. 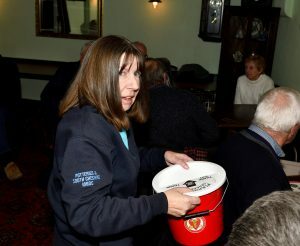 Something until this point in time myself and the members of this club were not really aware of, after meeting them we are fully aware of the great work that they do – remarkably not just blood as the name suggests, but stuff like breast milk and “poo” yes thats right “poo”, and vital instruments. These volunteer people are available to be called upon 24 hours a day, 7 days a week, 365 days a year. 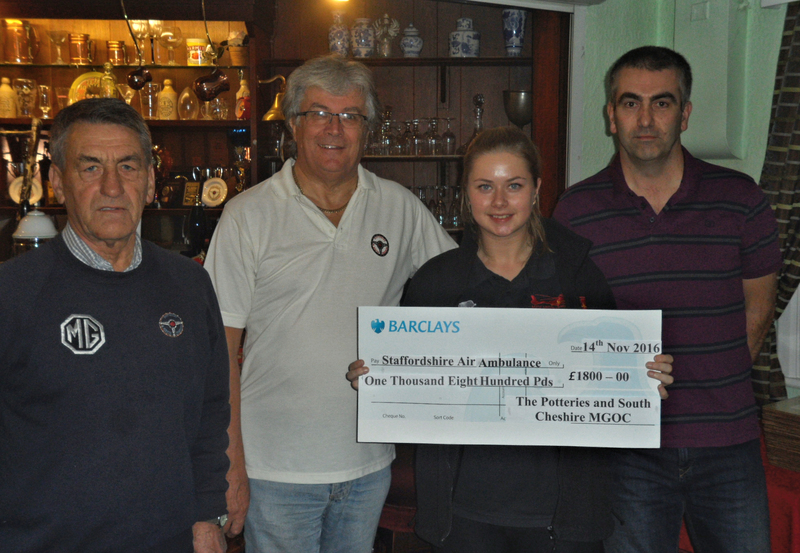 On Monday November 14th we presented cheques for £1800 each to Katie from the Staffordshire Air Ambulance and to Julie from the Donna Louise Childrens Hospice. 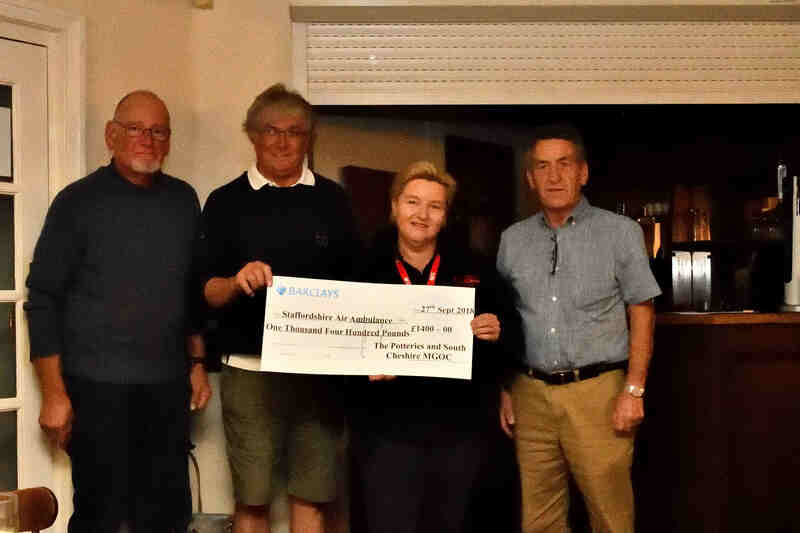 After receiving the cheques both representatives gave a short talk on the ongoing work that they carry out, and did answer any questions that the members had about their respective organisations, both expressed sincere thanks for the contribution we had made to their ongoing work. 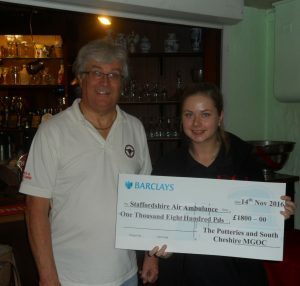 If you would like to support the Air Ambulance please join us on our charity run. 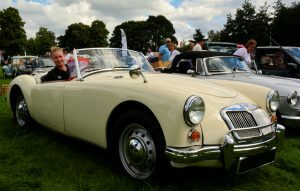 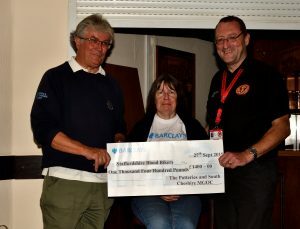 After yet another very successful run attended by close to 100 MG’s at Gawsworth Hall, the sum raised from the day was £4200 – MG owners are very generous along with the sponsors. 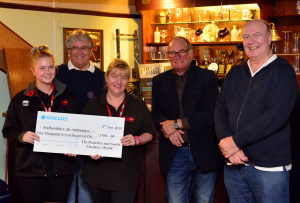 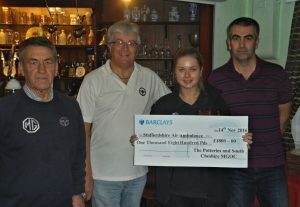 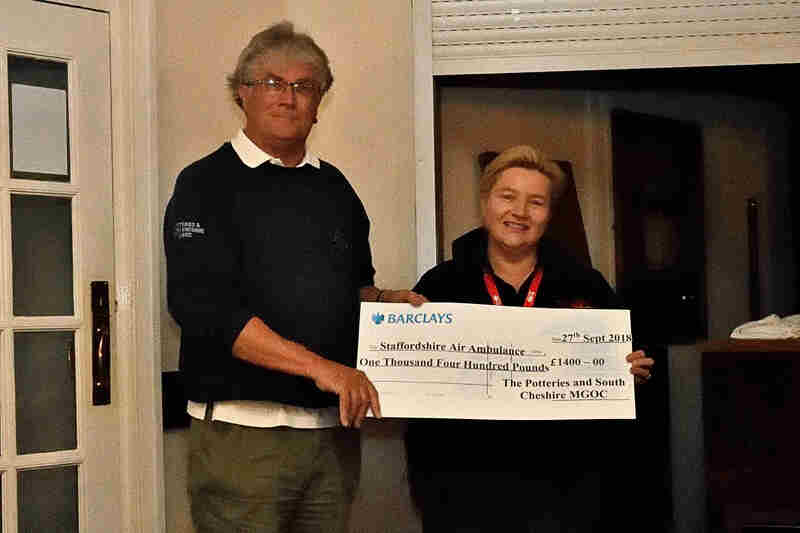 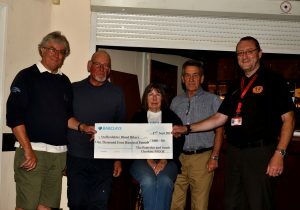 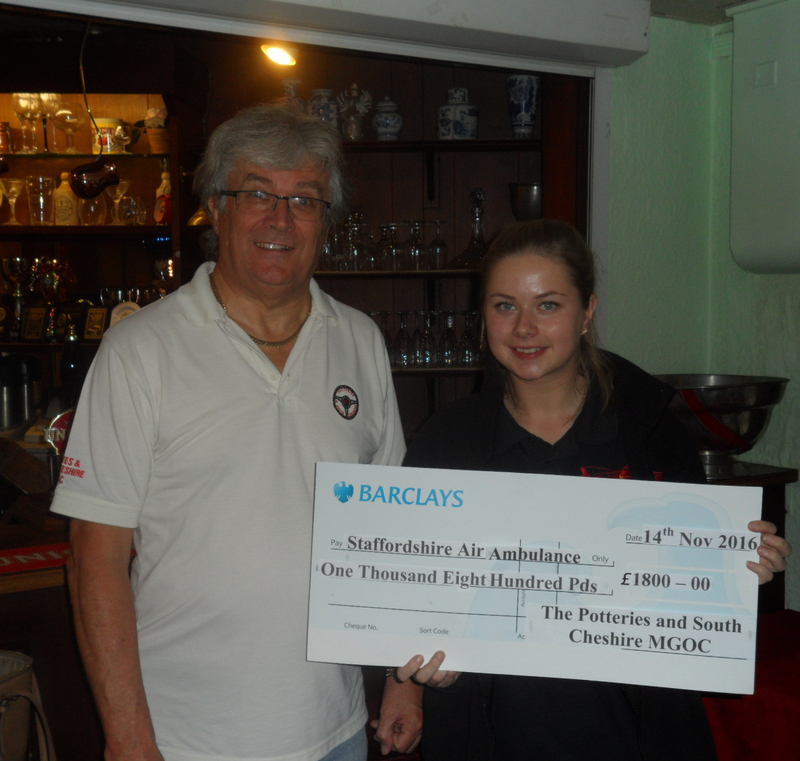 Cheque presentations were made to representatives from the Staffordshire Air Ambulance – an organisation we have supported for several years now – and one that perhaps you hope you will never have cause to meet on a personal level – but very glad you have supported them if ever you do. We also donated to a local Children’s Hospice – The Donna Louise Trust – having visited them they carry out great works in times of tremendous stress – and the club are proud to support them. 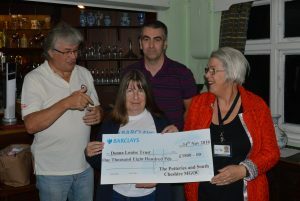 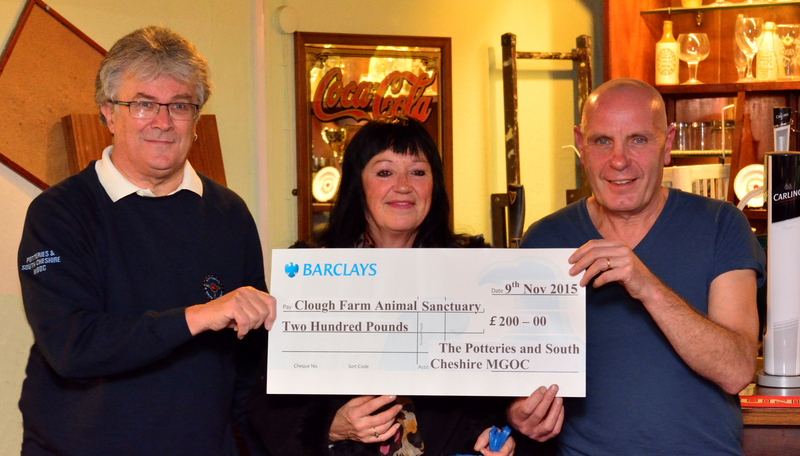 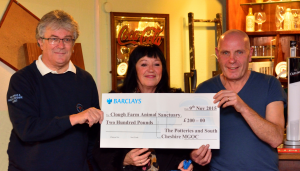 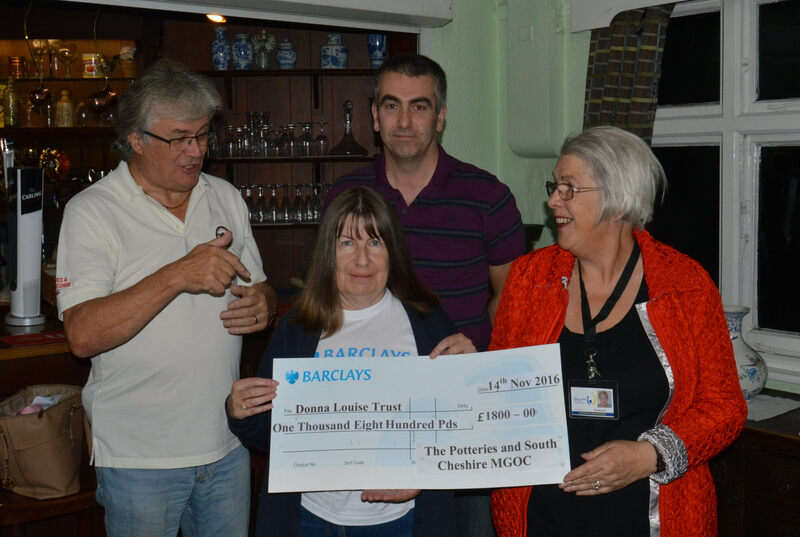 All the supporters who come and collect the cheques tell us about the works they carry out – sometimes heart rending . In 2016 we are again supporting these Charities – so why not come along and help us in our challenge to try and better the 2015 effort, have a great day out and feel good about it. 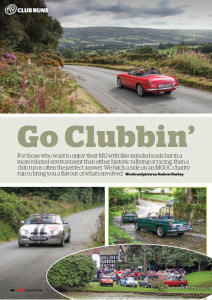 Our 2015 Road Run was featured in the January 2016 edition of MG Enthusiast Magazine. 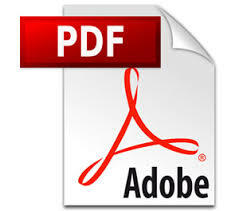 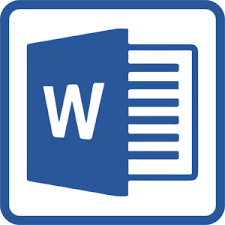 Click on the image below to find out more.